President Donald Trump on Monday addressed widespread rumors surrounding first lady Melania Trump's recent 27-day hiatus from public appearances. During a campaign rally in South Carolina for Governor Henry McMaster, Trump praised his wife, saying she was doing "fine" despite media speculation that her brief disappearance was because she was recovering from a facelift. "She had an operation a few weeks ago, kidney operation," Trump told the crowd. "And she's gonna be great." "But [the media] had all kinds of projections," he continued. "They said she got a facelift. No. I would let you know. They couldn't hide that one for long, right?" Trump previously took to Twitter on June 6 to criticize media outlets for their treatment of the first lady during her recovery period. "The Fake News Media has been so unfair, and vicious, to my wife and our great First Lady, Melania," wrote the president. "During her recovery from surgery they reported everything from near death, to facelift, to left the W.H. (and me) for N.Y. or Virginia, to abuse. All Fake, she is doing really well!" Melania's notable public absence first began on May 10, when she stood by the president's side as the pair welcomed home Americans who had been imprisoned in North Korea. 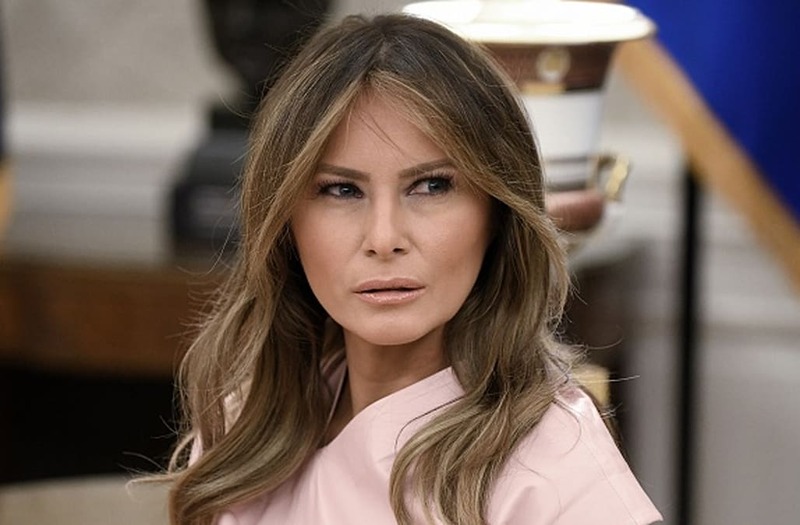 The White House released a statement on May 14, saying that the first lady had been hospitalized to undergo a procedure to treat a benign kidney condition. The next day, President Trump took to Twitter to share that the surgery went well and that his wife would be discharged from the hospital in a few days. Five days later on May 19, the president shared that Melania had returned home to the White House and was "feeling and doing really well." However, after the first lady skipped out on a handful of important events, conspiracy theories began to swirl about the reason for her prolonged absence. Amid intense media scrutiny, the official FLOTUS Twitter account released a statement on May 30 to assure the public that Melania was doing just fine. "I see the media is working overtime speculating where I am & what I'm doing," the account tweeted. "Rest assured, I'm here at the @WhiteHouse w my family, feeling great, & working hard on behalf of children & the American people!" However, the plan ended up backfiring, as Twitter users were quick to note that the tone of the statement, as well as the punctuation, sounded nothing like the first lady's typical tweeting style. Some even went as far as to say that they believed the message looked more like it was written by President Trump than his wife, stoking even more concerns. On June 6, Melania finally appeared in public for the first time in 27 days, joining her husband for a briefing on hurricane preparedness at FEMA Headquarters in Washington, D.C.